Alsea is an unincorporated, largely rural, community with a 25 mile radius around the commercial center that includes the areas of Lobster Valley, 5 Rivers and Fall Creek in Benton County, Oregon, United States. 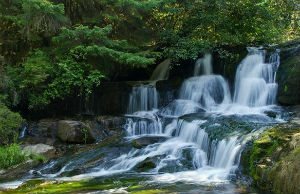 It is located on Oregon Route 34 and the Alsea River. As of the 2010 Census, the population was 1153 for zipcode 97324. Children in Alsea attend Alsea Public Schools. Alsea has a small commercial district that is actively seeking new businesses. The commercial center is a 1/4 mile strip along Hwy 34 that includes the Alsea Library and Community Center, the Alsea Community Health Clinic, the Alsea school (K-12), a general store John Boy’s Mercantile, its associated gas station across the street, and Deb’s Cafe. The community has three churches, one of which is in Lobster Valley. There are two fish hatcheries: ODFW Alsea Fish Hatchery to the east of town and Oregon Hatchery Research Center, a state of the art $5 million facility to the west of town. There are large buildings for lease that were once US Forest Service Offices. Alsea has DSL to most properties and AT&T cell service. A number of county parks line the Alsea River along Hwy 34 on both sides of the town. Fishing and hunting draw many to the area in season. There are several destination locations in Alsea: The Thyme Garden, an herb nursery and wedding venue, Sunrise Nursery near Fall Creek, and Leaping Lamb Farm, a farm stay. In summer there are several festivals with a large underground following hosted on farms in the area: a dijeridoo festival and a mountain stomp jamboree. These pull people from all over the country and all over the world.